If you were to ask me what brand of makeup brushes would I recommend, my answer will always be Real Techniques. 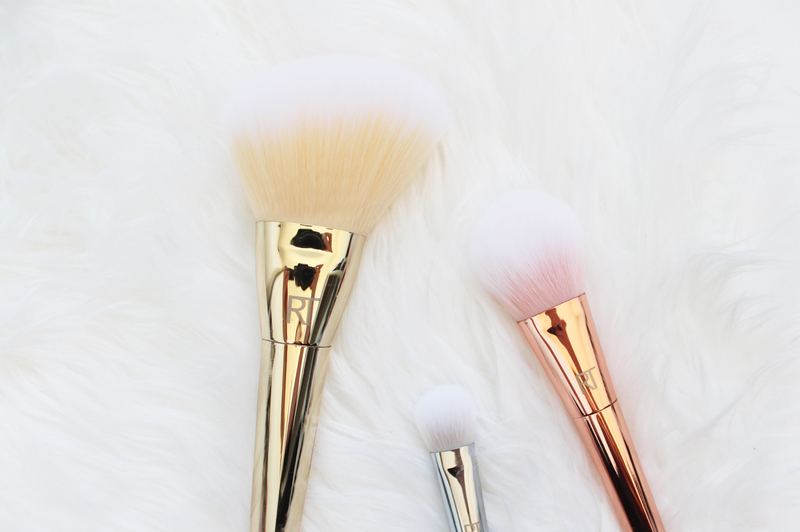 There are so many makeup brushes out there, of course, M.A.C brushes are amazing, and those higher end makeup counters do some amazing brushes, but honestly I just don't have the moolah to drop $70 on a single brush. For quality and affordability, Real Techniques nail it with a great range, innovative brushes and unique designs. They recently bought out the Bold Metals range, which is more luxurious and expensive, and absolutely stunning. I had been wanting to try out these brushes since their release and luckily nabbed this set on iHerb (where I buy all my Real Techniques from as it's the cheapest), which was dramatically reduced for the day to $35.00. So are they worth the hype? The short answer is yes! I adore these brushes; the designs and quality of them are well worth spending that extra bit on, but they still work out cheaper than others of the same quality. 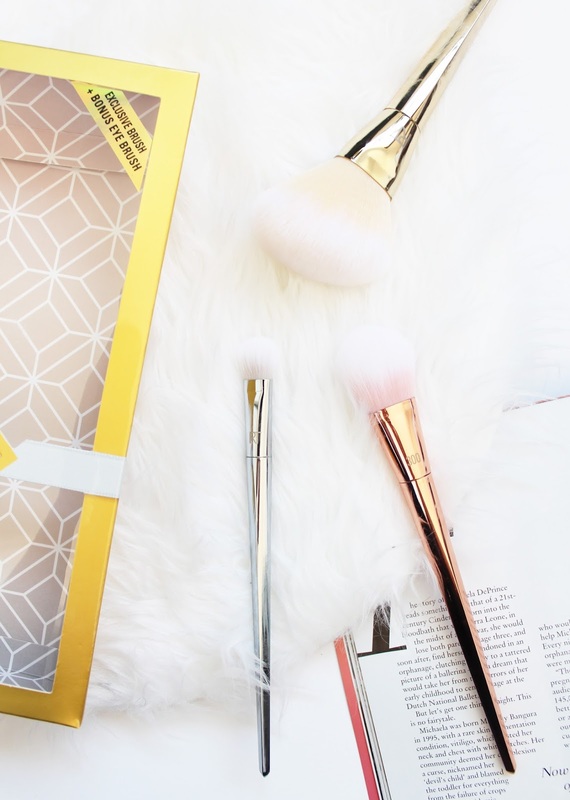 This is the Bold Metals Essential Set which consists of three brushes, two for the face and one of the eyes. 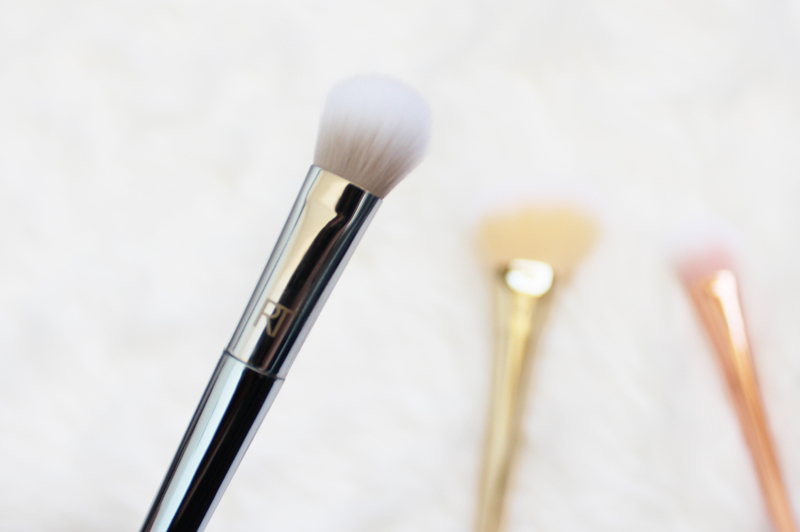 The brushes are synthetic, so they are extremely soft and wash up really well. The handles are beautifully designed, with angles edges so they don't roll around on the table, and each is weighted near the bristles for ease of use and control. I was surprised at how heavy they felt, especially when compared to the regular RT brushes. The metallic finishes definitely give them an on-trend, luxurious look. This is an exclusive brush to this set only and can't be purchased alone. In the range, there is the 100 Arched Powder Brush that is domed in shape, compared to this angled one. 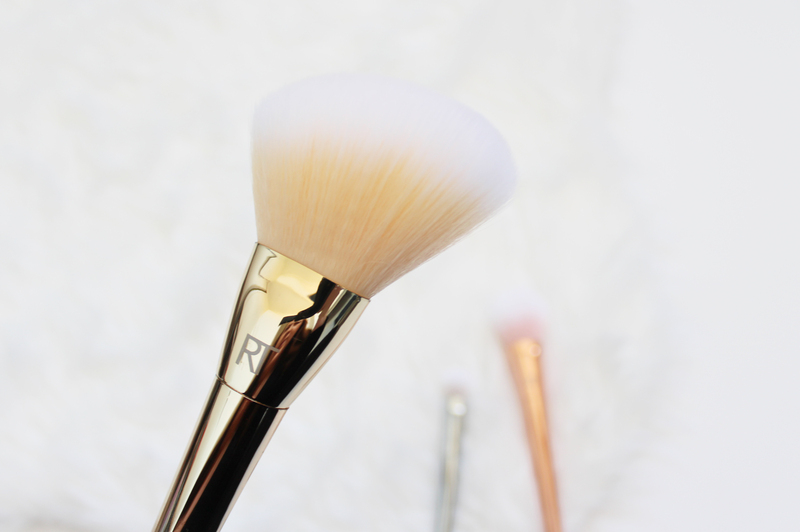 I really like the brush, it's perfect for sweeping powder quickly and evenly over the skin. This eye brush is available to purchase separately for NZD $18.00 here. For an eyeshadow brush, this is actually quite large, so I like using it for putting one shade over the whole lid as a base. Because of the synthetic bristles, this is good for cream shadows too and would easily distribute it onto the lids. Available to purchase individually for NZD $26.00 here. 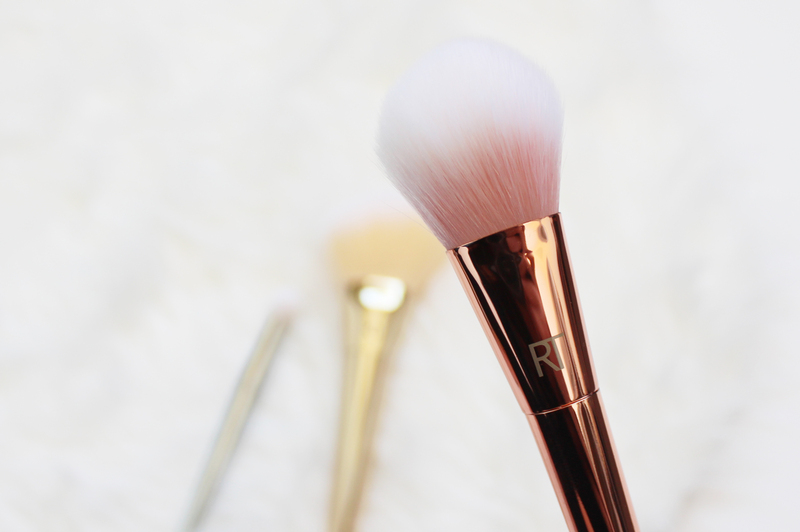 This brush is a must have; the copper/rose gold is beautiful and this brush is ideal for highlighter, or can even be used to contour due to the tapered design. I have been getting a lot of use from this one. Overall I think the Bold Metals range is well worth that little bit extra if you want some great quality brushes. The original line is amazing, but these just step it up a notch. 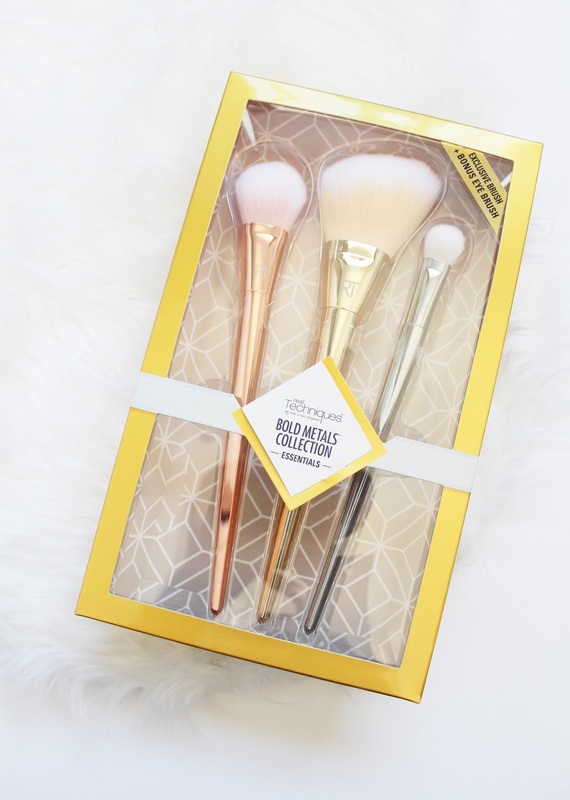 This set retails for NZD $68.12 (at the moment), which works out at around $22 for each brush. Keep an eye out to see if they will have it discounted again as I am so stoked I got this set for such a good price. If you want a little discount on your order you can use my code RMM029 which will give you some money off each time. 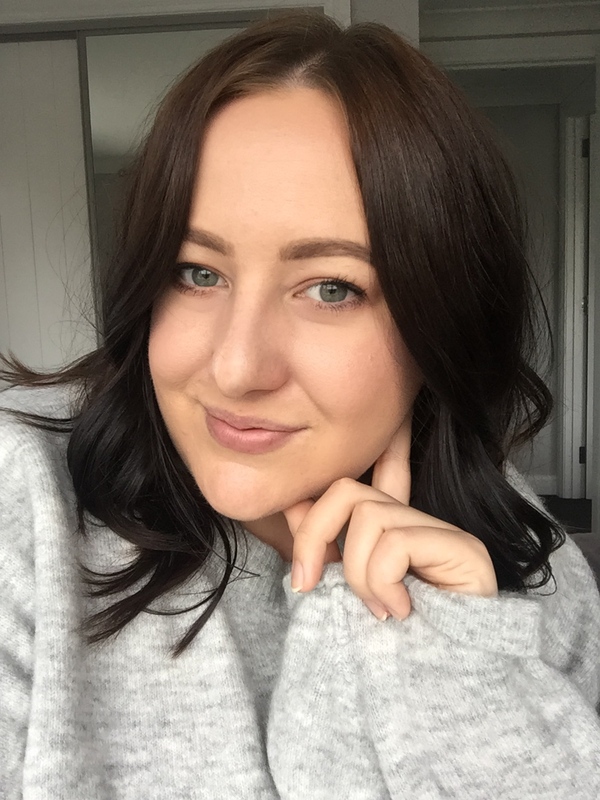 Have you tried the Bold Metals range?